While Dr. Barry Franzen is a true specialist when it comes to repairing the teeth, he’d much rather help our patients avoid developing dental problems in the first place. That way, they can spend less time in our office and more time simply enjoying their smiles! Fortunately, he can easily accomplish this thanks to preventive dentistry. With just two short appointments each year, he can help stop many dental issues before they even begin. He recommends that every patient come in at least twice a year for a checkup and cleaning, so if it has been more than six months since your last one, be sure to contact him today for an appointment. Every patient experience at our practice begins with a thorough checkup and cleaning. Out of everything we provide, these are two of the most effective services when it comes to safeguarding your long-term oral health. At these appointments, Dr. Franzen will perform a thorough oral exam where he’ll look at your teeth, gums, jaw, and existing dental work. Coming in regularly for these appointments will allow Dr. Franzen to catch and treat problems before they have a chance to harm your smile. Then, our hygienist will use specialized tools to give you a refreshing dental cleaning. This helps remove any plaque and tartar on your teeth as well as give your smile a nice polish! Do you clench your jaw or grind your teeth while you sleep? If so, then you may be suffering from bruxism, a condition that affects about 1 in 3 people across the country. This puts a tremendous amount of pressure on the teeth and can eventually cause them to break! 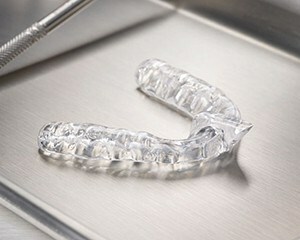 However, we can help patients rest easy by having them wear a nightguard to bed. This small, custom-made mouthpiece is designed to fit comfortably over the teeth and be a protective barrier so they can’t grind together during the night. 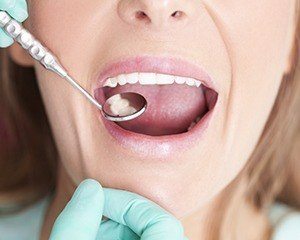 Oral cancer rates are currently on the rise here in the U.S., and sadly, it claims thousands of lives every year despite the fact that it is very treatable when detected early. To make sure you’re never caught off guard by this disease, Dr. Franzen will always perform an oral cancer screening at your regular checkups. He’ll examine your lips, gums, tongue, cheeks, throat, neck, and face for any cancerous tissues, and if he finds something, he can quickly arrange for you to get follow-up treatment.